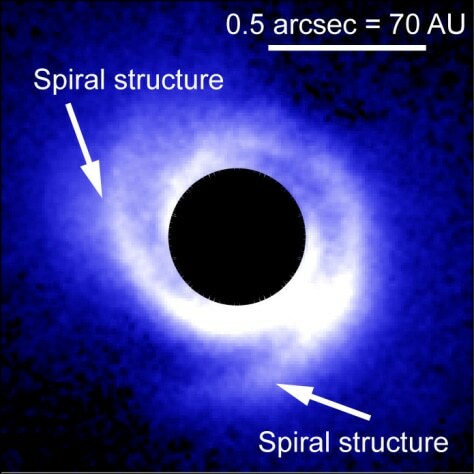 An image of the disk around SAO 206462 captured with HiCIAO. A coronagraph blocks the direct light of the central star, which appears as the black, circular area in the image. Arrows show the two arms of the spiral structure around the star.